Berlin, 6 April 2016 – Raisin today launched the first pan-European investment platform. After its successful launch in 2013 in Germany, the WeltSparen platform sets out to conquer the European market. In the space of two years, Raisin’s 35,000 German customers have already invested more than € 1 billion via the platform. Raisin customers have easy access to savings products across Europe, allowing them to invest in accounts with lower interest rates than those available in their own country. Tamaz Georgadze, CEO and founder of Raisin, recalls that « Europeans have more than 10 trillion euros in savings, often asleep in low interest rate accounts. Grape yields more attractive rates, sometimes multiplied by 4, while being protected by deposit guarantee schemes at European level « . All deposits are fully guaranteed up to EUR 100,000 per customer and per bank, per each national deposit guarantee scheme, in accordance with European directives. Raisin does not charge any sales charges and its partner banks currently offer interest rates of up to 2.2%. With this launch, the Berlin-based company establishes the first real European marketplace for deposits. The platform has a simple registration process, 100% online. To be able to provide this practical solution, Raisin has created a partnership with Keytrade Bank – the leading direct bank in Belgium – which opens a Raisin account for the customer. Thierry Ternier, CEO of Keytrade, reminds us that « at Keytrade Bank, we have always had a strong taste for innovation and we are delighted to partner with a promising young FinTech ». With a single interface, customers can manage all their accounts with different partner banks – at no cost. Katharina Lüth, Head of Europe, describes the platform as « a simple, clear and practical way to manage your savings and get the best rates ». Under the WeltSparen brand , Raisin GmbH has created a single marketplace for the deposit products of partner banks of the European Economic Area since 2013. 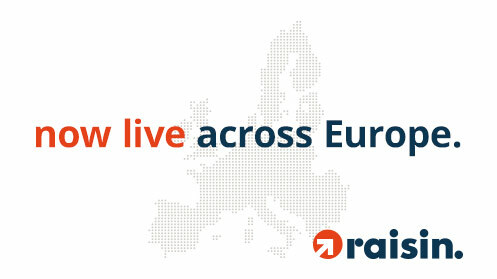 With the launch of Raisin, the platform is now available in Europe. Grape gives customers the ability to deposit their funds at attractive interest rates anywhere in Europe at no cost. In the past, customers had to face complex opening processes in a foreign language, sometimes with contact in the country. This is no longer a problem thanks to Raisin. The Raisin team is made up of an international group of consultants, bankers, product specialists and developers, accumulating more than 100 years of experience with banks and major service providers in Germany, Switzerland, Eastern Europe and Asia. . The company is, among others, funded by Index Ventures, Ribbit Capital, as well as Tom Stafford and Yuri Milner of DST.